The New Year has come, The Voice UK elimination rounds are over and the show is back live on Saturday, January 11th, 2014 on BBC One at 7p.m. Set the reminders, because this is something you wouldn't want to miss! Meanwhile, miss Kylie Minogue is set to release her new studio album this year, with a new single, Into The Blue, confirmed on Twitter. 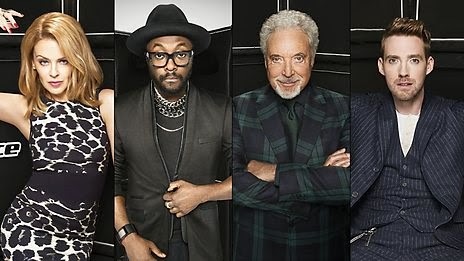 After The Voice UK, Kylie and Will.i.am are also going to join The Voice Australia. i love Kylie so much!! !